Vertigo is a pretty nasty thing. Not only can it turn you into a stumbling mess but it’s also something that’s inspired a U2 song. Not good. Spells of Vertigo however is not so bad, because they make pretty good music. These guys are a three piece from Ontario, Canada and this is their new EP Soaked. If you’re a fan of guitar riffs that can pretty much knock you silly then this is probably something you should check out. Telegenic kicks off the EP with a deep rooted bass intro that blooms into this heavily distorted main riff that immediately floods the ear canals with fuzziness. The riff stops and starts when it wants and lays down a high note or two throughout, really leaving this badass vibe behind. Lead single Baby Born (With No Brain) continues the badass-vibery but takes a step back on the pace a little, allowing some melodies to seep inside. The result is a track that sounds much more psychedelic and layered than its aforementioned neighbour, but does close out with another display of fast-paced eruptions of grungey goodness. Awesome. The six minute epic Clover closes out Soaked with another solid performance. A slow-paced, eerie melody sets the tone before deep basslines and drums add a little dimension to the airwaves, and Spells of Vertigo once again takes things to pretty much every direction all at once. There are moments of energy via intense riffs, or continues to let it mellow out for a second or two. 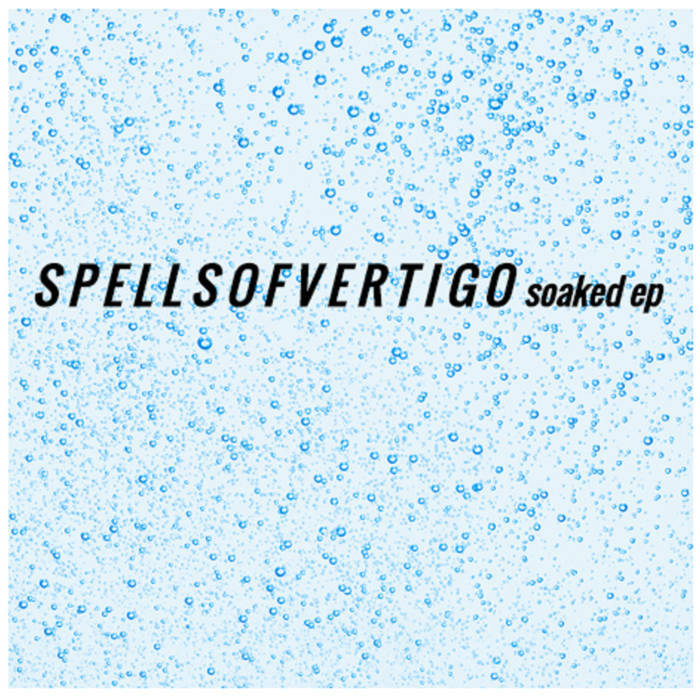 Soaked is a phenomenal EP from Spells of Vertigo. All three of the tracks are superb tastes of grunge/rock goodness, and while all three are different from eachother they still envelop within the same atmosphere. This is awesome. For more music reviews, free downloads and interviews check out Exploding Head Syndrome on Facebook and Twitter.